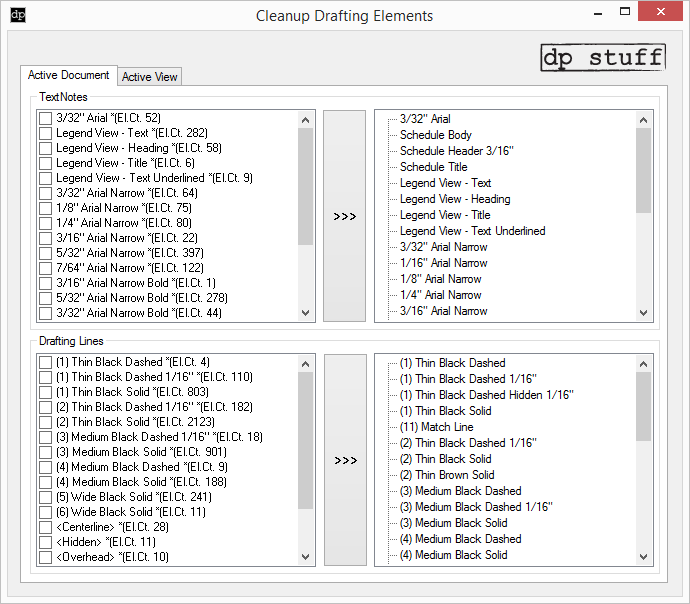 CleanupDraftingElements addin is another new addition to Revit Utils 2017. 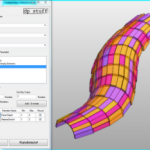 It is helpful in cleaning up your project when it was “polluted” by CAD exploded drawings. It allows you to pick all drafting lines (that aren’t part of a group) of as many unwanted linestyles as you want and convert them into a linestyle of your choice. This can be done either per View or per Document. 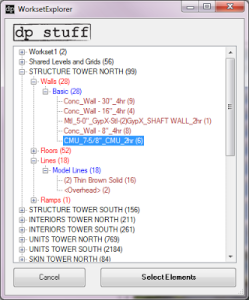 As you know Revit doesn’t allow you to select line elements by “Select All Instances in View/Project”, which makes it difficult to track all unwanted linestyles. 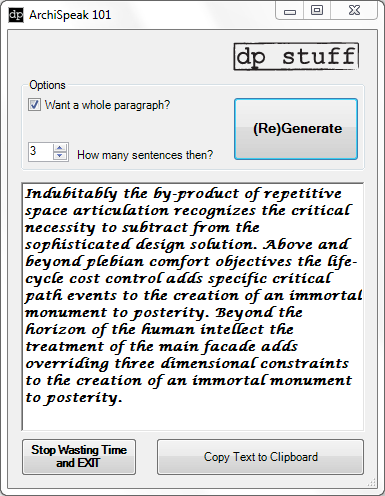 Same can be done with textnotes. 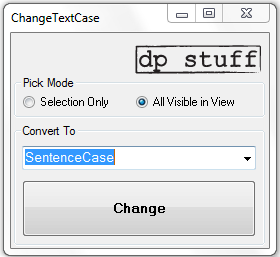 ChangeTextCase 2017 Revit Addin allows you to alter the case of Revit Text elements. 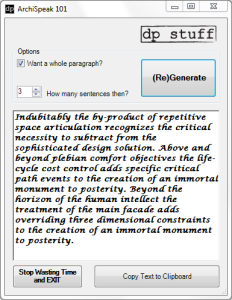 You will be able to chose between: UPPERCASE, lowercase, TitleCase, SentenceCase. 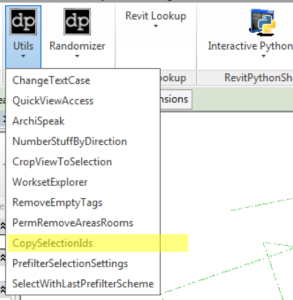 RemoveAreasRooms 2017 Revit Addin allows you to delete rooms or areas permanently on the fly directly from any of your Revit views without having to do it from the Revit schedule. 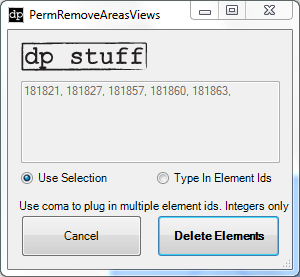 You have two options: either pre-select the elements and run the tool to delete just the rooms/areas in your selection, or you can collect ids of rooms/areas that you want to get rid of and copy/paste them via “Type In Element Ids” method. 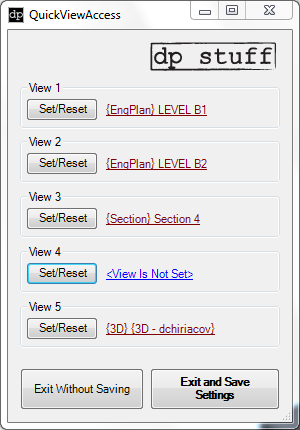 CropViewToSelection 2017 Revit Addin lets crop your 3D Views to elements in active selection. 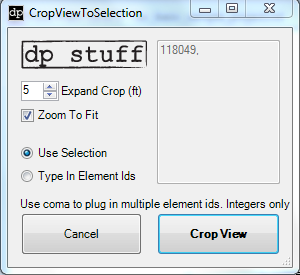 You will have an option to either pre-select elements to which you want your view to be cropped or you can type in element ids in the plugin’s dialog box. 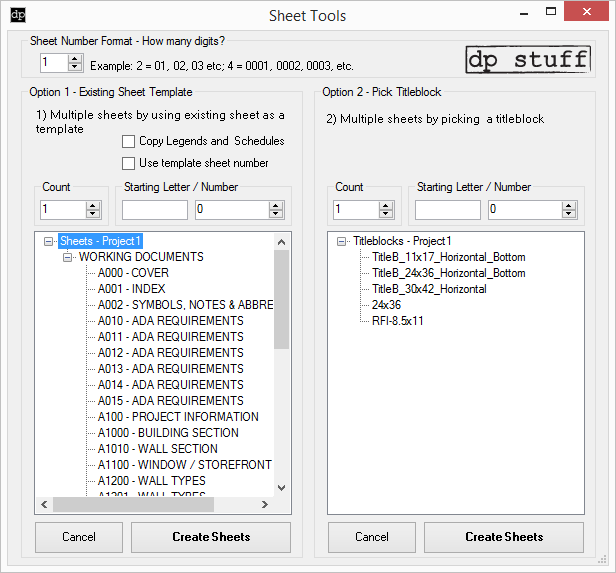 NumberStuffByDirection 2017 Revit Addin allows you to number Revit elements in sequence (rows or columns). The elements must have an Integer Instance parameter that the sequence number will be assigned to. 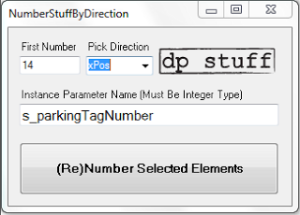 You will be asked to specify the Parameter Name, Direction in which to number and the starting number of the sequence. QuickViewAcces 2017 Revit Addin lets you set and access your most often used views without having to search through Project Browser. 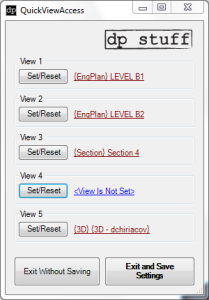 It stores the views that you assigned to it in a text file so even if you close Revit session and reopen this file some other time – when you invoke the QuickViewAccess plugin it will pull out the same views that you stored in it last time.The best thing to use it is to set a short cut for it. I have a QQ short cut set for it any time I need to open any of my views.So, give it a shot if it fits your workflow and if you think it will make you more productive. 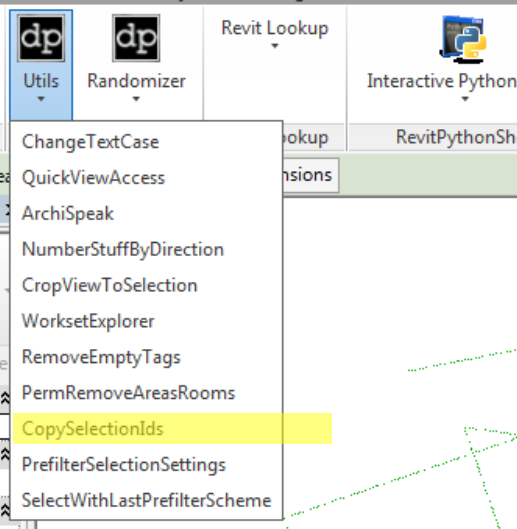 Just as the name suggests RemoveEmptyTags 2017 Revit Addin allows you to find and remove empty tags from your Revit document. 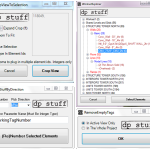 You will have two options whether you want to remove empty tags in the active view or in the whole document. 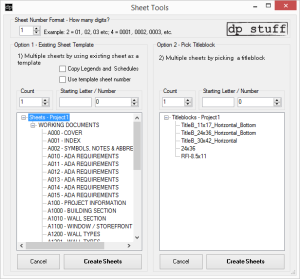 You can use it in conjunction with out-of-the-box Revit Tag All tool. 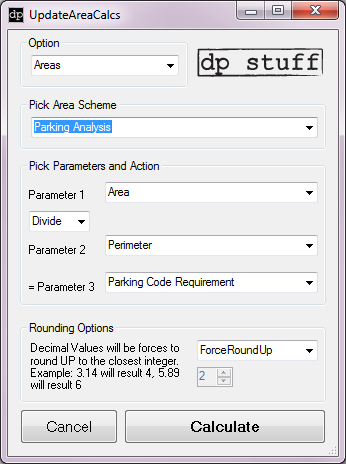 UpdateAreaCalcs 2017 Revit Addin from dp Stuff operates on Room or Areas and can do simple arithmetic calculations with any 2 numeric parameters that have values assigned to them and push results into another Non Read-Only numeric parameter. You will also be able to control how the results are rounded via Rounding Options. 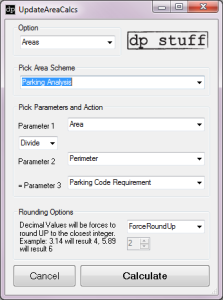 Pretty straight forward – and much better than going over every single area or room and assign values manually. Hopefully it will save you some time for a beer on Friday afternoon! 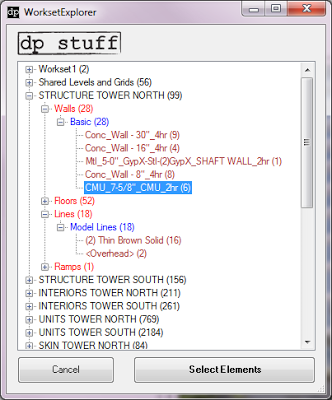 Have you ever wanted to be able to quickly see what the heck is going on with your worksets? WorksetExplorer 2017 Revit Addin will make it easier to manage and maintain your worksets and elements on them.